The Kingdom of Rolldovia is in turmoil. Her royal highness Queen Statisia, has decreed that there will be a new capital, after the beautiful city of Dienness was sacked by hordes of barbarians and bandits from the south. As leaders of one of Rolldovia's influential noble families, players vie with each other to establish their provincial city as the best home for Rolldovia's new capital. 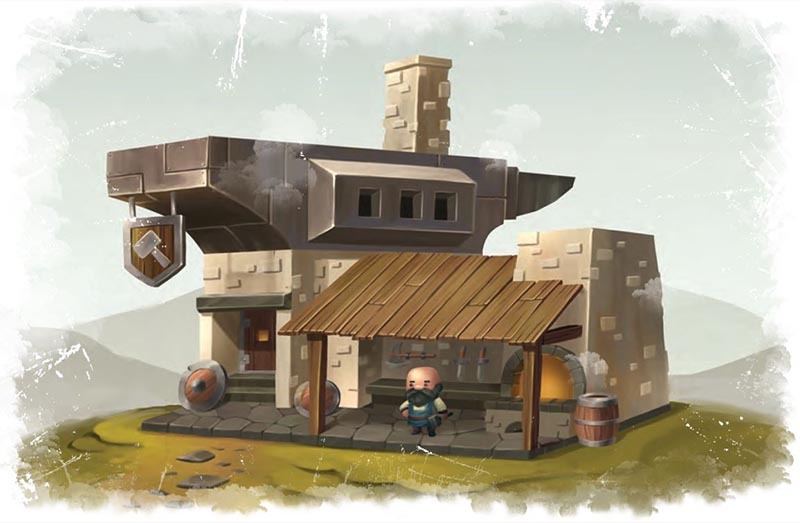 As the head of one such noble family you must choose its path in gaining the approval of all others in the kingdom - will you choose to press your claim through a strong military taking the fight to the bandits, through new and wondrous buildings, or perhaps even through opening up trade routes? Whatever you choose you must manage your city and the land's natural resources carefully, making the best of your luck with good choices and sound strategy, while watching out for attacks from jealous rivals. 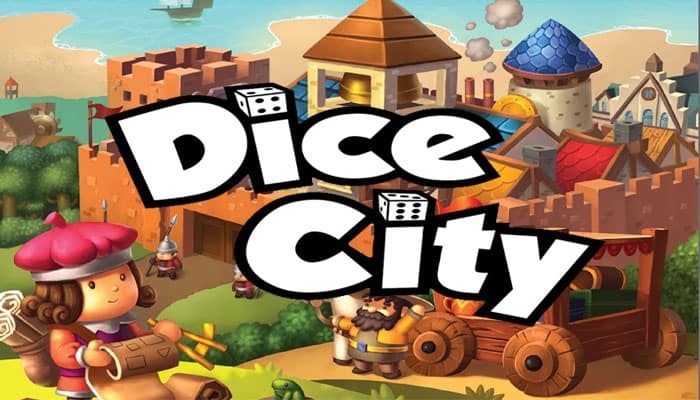 Dice City is a dice-crafting game where the buildings and locations in your city become the faces of your dice as your roll them each turn. 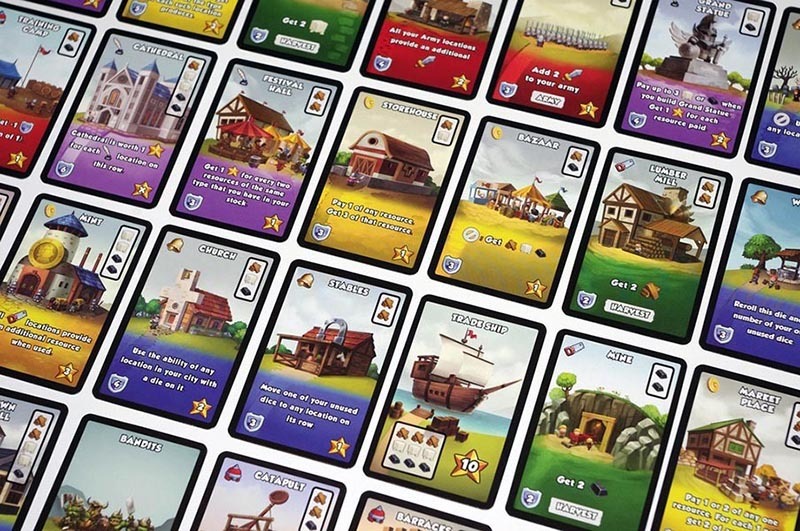 Setup the game as normal but place a single bandit and trade ship card of each value. Each bandit and trade ship card is considered to be always available and every time you are supposed to take one, simply take the VP directly from the supply.